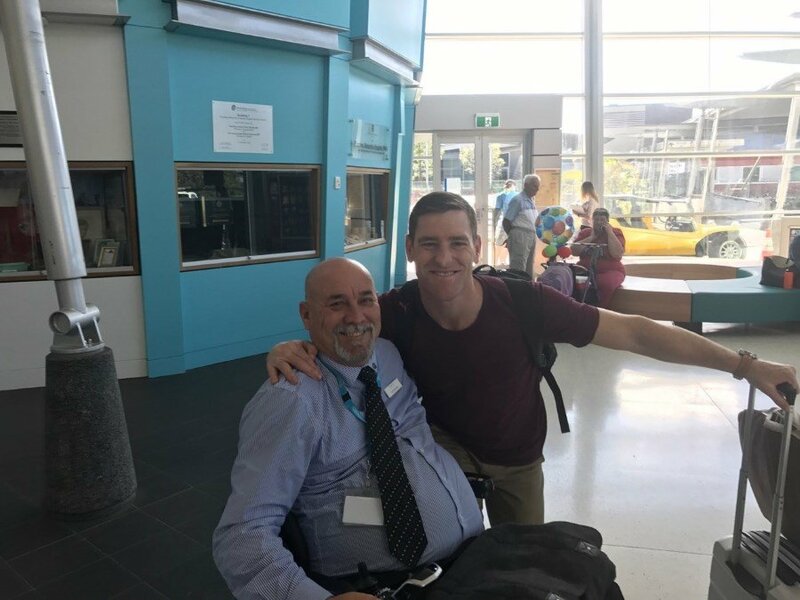 Former NRL legend and North Queensland Cowboys Ambassador Brent Tate recently joined Shine Lawyers in a visit to the Princess Alexandra Spinal Injuries Unit ahead of tonight's State of Origin decider. Brent enjoyed some pre-match commentary with patients in the ward, sharing his predictions on how the game will play out. Even the few Blues supporters could not hide their excitement. Just two years into his first grade career, Brent Tate suffered a severe neck-injury that nearly ended his career. Against all odds, Brent shocked the sporting world with his guts and determination, and continued to play at club, state and national levels for years to follow. The visit was a chance for Brent to support the Spinal Injuries Unit in their mission to enable people with spinal cord injuries achieve maximum potential and fulfilment in life. 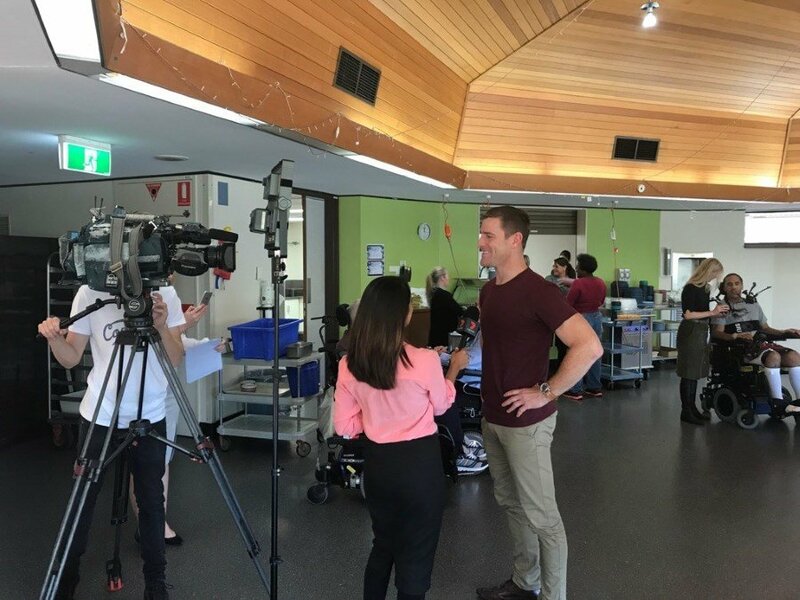 Shine Lawyers has a close relationship with Spinal Life Australia, an organisation who provide peer support to patients at the Princess Alexandra Hospital Spinal injuries Ward. For us, this was an opportunity to give back to, and support the spinal injury facility that provides treatment and care to many of Shine’s clients who have suffered devastating spinal cord injuries. Written by Shine Lawyers on July 11, 2017. Last modified: September 6, 2018.